With our Instant Provisioning platform, you can get your dedicated server up and running as soon as you purchase it with just a single click at no additional costs or unwarranted delays. edge Grade-1 Datacenters with the latest technology in security, networking and cooling facilities,fiber-optic connectivity and two independent 400 KW power stations. We guarantee power packed performance and unmatchable reliability with our world-renowned Blade Micro Servers with Intel Xeon Processors. RAID 1 Disks and Cent OS.The data loss protection technology offered by RAID keeps your data intact against all odds and ensures maximum redundancy on our dedicated hosting..
Our support team is available 24X7 and we guarantee that all your queries will receive prompt and accurate solutions. Till date, we've ensured a 99.9% uptime for our customers..
We offer a 15 day money back guarantee on all shared hosting accounts. If you're unsatisfied for any reason we'll refund you.. Fully backed by our SLA, we promise you at least 99.9% uptime as part of our service guarantee..
Intel Xeon Processor E3-1271v3 Cache 8M Supermicro Blade Servers Instant Server Provisioning Administrator Access Sys-Ad Support Teams Server Management Panel Dedicated IPs @ Rs.200 Core Support Windows OS 2008/2012 (Incl License) Web OS Patches & Updates Troubleshooting & Repairs GPX Mumbai location (Tier 4 DC) Remote Desktop Access Odin Plesk (12.5) - Coming Soon Free MSQL 2014 - Coming Soon. What Microsoft Windows operating systems do you offer? We offer Windows 2008 and Windows 2012 with our windows servers. Our dedicated windows servers use the SuperMicro blade chassis, which has a small footprint with reduced power consumption and cooling requirements. These efficiencies allow us to pass cost savings down to you so your costs are kept to a minimum. Our servers are powered by Intel Xeon HyperThreaded processors, DDR3 RAM and 7200RPM SATA drives. What Support do you offer with Windows Dedicated Hosting Plans? 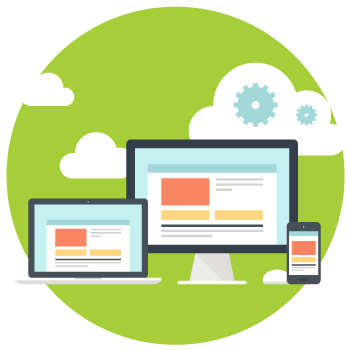 Our Support for Windows Dedicated Hosting Plans includes Network and Hardware Support. We also help you set your Remote Desktop and Windows Licensing. How many free IPs do I get with the Windows Dedicated Server? One default IP along with 2 additional free IPs are included in all of our Windows Dedicated Servers. We have designed and build our infrastructure ourselves - prioritizing stability, scalability and security. Our state-of-the-art datacenter boasts of the very best HVAC architecture, cutting edge networking switches and of course, the best, latest hardware around. All of these together contribute to a 99.99% uptime guarantee.